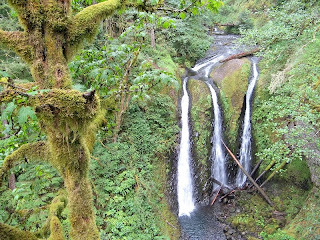 Right in our own backyard, the myriad waterfalls of the Columbia River Gorge beckon. A short weekend hike from Horsetail Falls led us past charming Pony Tail Falls and finally to this lovely treasure enveloped by the resplendent greenery of the Cascade Mountains. nice image of the Ainu canoe. Do you mind if I use for a class project? Thanks and please let me know. Appreciate it!